Many rumors have risen over this mysterious Harry Potter roller coaster at Universal’s Islands of Adventure. Could it be the forbidden forest, or perhaps the courtyard of Hogwarts? And which way does it go anyway? We are here to check out the current progress, and speculate some more. 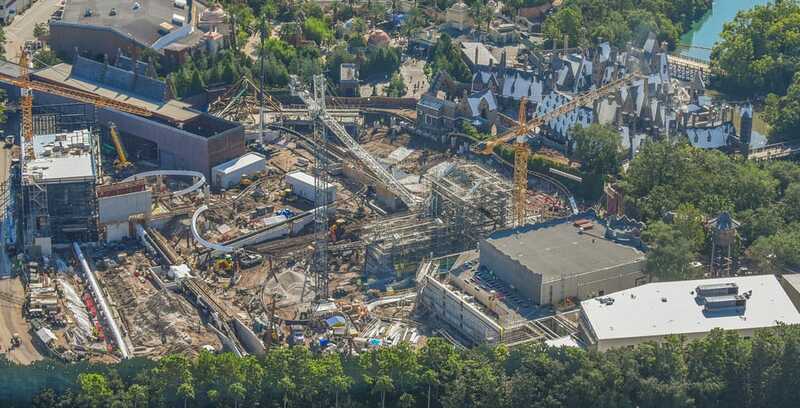 This photo report, with shots provided by Jonathan Rodriguez/Sublime Image Photography, oversees the current construction going on at the Wizarding World. Photo Update: Star Wars Galaxy’s Edge construction – It’s going to be huge! With less than two months until the grand opening, Toy Story Land’s construction is nearing completion at Disney’s Hollywood Studios. This photo report, with shots provided by our contributor, @bioreconstruct on Twitter, checks out the finishing progress on this upcoming land. Star Wars: Galaxy’s Edge is the largest and most ambitious land project ever by Walt Disney Imagineering. Two of these Star Wars themed lands are coming to Hollywood Studios at Walt Disney World and to the Disneyland Park at Disneyland Resort. 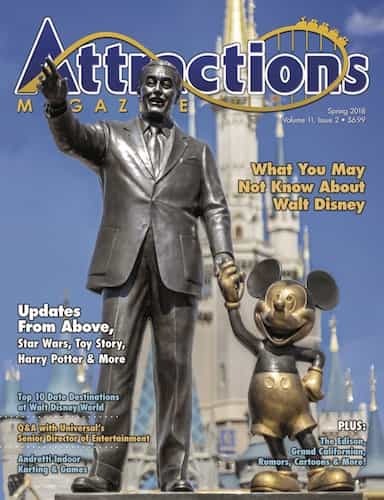 This article will focus on the construction at Disneyland. All photos were taken on March 18, and provided to us by Nearmap.